New Tank, NEED HELP PLEASE! • Bearded Dragon . org . New Tank, NEED HELP PLEASE! Re: New Tank, NEED HELP PLEASE! , she has been in a 2ft tank now for 2 and half 3 months, now I am going to put her in this bigger tank so now I need a little help! What heat lights? uvb? heat rock? NEVER USE AN ELECTRIC HEAT ROCK …. they have habit of failing and overheating and are common causes of very bad burns on the bellies of reptiles. will I need? please; can I put in a drift wood so she can stretch out on? < lots do ….i'd steer clear of fake green leafy stuff --- dragons have been known to try to eat these . <<<< Please no particulate substrate (looks like gravel or seeds of some sort --- these are extremely high impaction risks. Suggest lining the floor with loose laid ceramic wall or floor tiles …. no glue , no grout. How tall is the tank ? I'd be getting a 36" T5HO 12%UVB tube (or even a 14%UVB tube) and a good reptile specific reflector hood for a 5ft tank that's 2ft tall , if the basking spot (driftwood) can be arranged so the basking spot is 12" under the T5HO UVB tube , a 12%UVB tube will be fine. If it's going to be further away , the 14%UVB tube will be needed to keep the UVB at about 180-200 microW / sq.cm and at 100 microW / sq.cm elsewhere under the lights. some people use GU10 halogen spot globes (but be aware they get super hot at the fitting so you need a high temperature all ceramic GU10 fitting or GU10-E27 adapter. no red coloured infrared / heat globes . no blue coloured night heat globes. 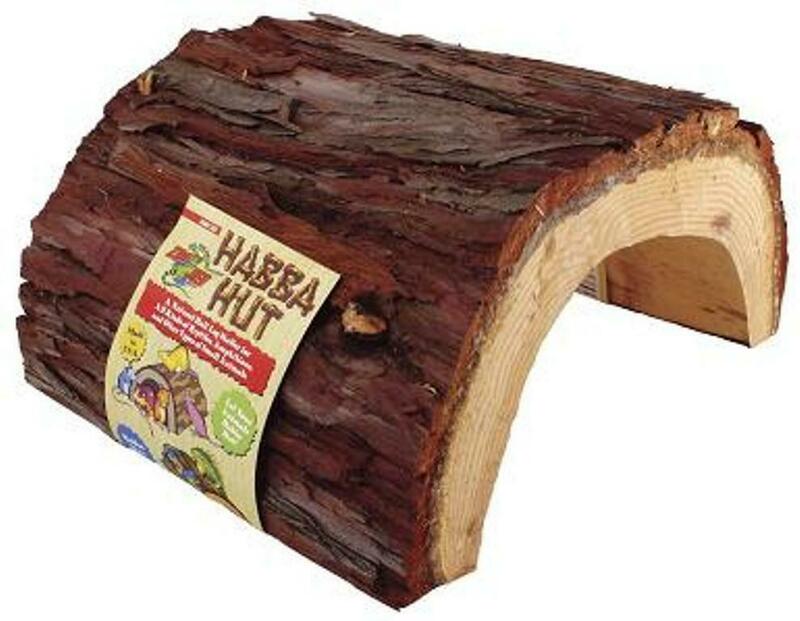 I suggest JUMBO SIZED HubbaHuts for a bearded dragon …. I'd have 2 of these in 5ft L x 2ft D tank , one in the cool zone , the other in the warm zone (can double as a lower basking spot). Make sure you remove the staples from the inside and top of the Hubbahuts (they are very dangerous to a dragon). These dimensions will be needed to help you select the correct wattage basking globe and the UV lighting. Last edited by kingofnobbys on Fri Aug 10, 2018 8:42 am, edited 1 time in total. I Recently Upgraded Loki to a new 4x2x2 Tank and he has been loving it, I Use a tube UVB Mounted OVER the tank (not sideways and out) to illuminate UVB down throughout the tank. I Use Tile and (since I ran out of tile) Terrarium background decor (like a background photo sort of thing) and It actually works great, Good traction, easy to clean, and Loki seems to like it (and the other 'duel lamp' is just LEDs to illuminate the tank better). Loki's Tank. I Also have a nice big blanket in the tank now but It was added after the photo. I Hope This gives you ideas on how to set up Jimmia's Tank. I Also recommend the items kingofnobbys mentioned earlier to use. They work well. 3) are you cranky at me now? The red lights should not be used at all, regular halogen bulbs and regular reptile basking bulbs can be used instead for basking. No colored lights at all pretty much, that means blue, red, green, purple, etc. No lights should be on during the night either, they need total darkness. If temps drop below 18C (65F) then you can use a ceramic heat emitter which produces only heat and no light. For UVB lighting I'd really suggest either a Reptisun T5 HO 10.0 at the very least or a Arcadia T5 HO 12-14% bulb. The one you currently have can be used but the tube lights are so much better and longer lasting. A hubbahut (aka a half log) is basically this. I always specify if I am talking degC or degF. I'm in Australia too. Most americans when they talk temperature are talking Farenheit . The conversion T(°C) = [T(°F) - 32] × 5/9. My skinks (eastern BTs & water skinks ) and all my beardies have been like that , some nights they retire into their hubbahuts , other nights they choose to sleep in the cool zone , other nights they crash ontop of their hubbahut (which doubles as their basking spot). I regularly move them under their hubbahuts just before I go to bed. 13W UVB150 is only rated at 5%UVB and is a very low power (wattage globe) …. not adequate , the dragon would have to sit ontop of the globe to enough UVA and UVB. I'd upgrade at the very least to a 26W UVB200 (this is a very powerful compact rated at 10%UVB and will give good levels of UVA & UVB at 8 inches (20cm) from the globe. Easy to install under the lid. The infrared (red coloured) heat globe is worthless and not appropriate for a bearded dragon. It belongs in the rubbish bin. I use these for my basking globes in my bluetongue and beardie tanks (4ft x 2ft x 1.5ftT) : https://www.ebay.com.au/itm/80W-Par-38- ... ar38&rt=nc , I bought a dozen of them before Bunnings destocked. nah … not at all. I'd place a layer off scott towels on the floor of the tank (which appears to be a converted fishtank (so the bottom will be made of glass and you don't want to drop hard objects on this (you'll crack or break the glass , and glass is too slick a surface for glass to crawl on ). these on the entire floor over the paper padding and not use any grout or glue to hold them in place (ie loose laid), this way if a tile is soiled it can easily be lifted (taken outside to be hosed down to clean, then dried and replaced …. a 5ft x 2ft tank will need 10 tiles. I'd get 12 tiles so you have a couple of spares. You shouldn't need to trim the tiles unless the inside dimensions are not quite 5ft x 2ft. Trimming/cutting tiles is easy, but you need a special tile cutting tool or special blade for an angle grinder. You can ask the trade desk at Bunnings to cut some the the tiles down for a token fee.